We here at Sony PlayStation are very happy to announce that as of 21st November, the Plus service will be extended to the PS Vita. I can also confirm that if you already have a Plus subscription for your PlayStation 3 there is no additional charge whatsoever for the PS Vita service, meaning that you still get all the great PS3 content as well as the additional Vita offers, all for the same one-off price of £39.99 a year.I am also happy to announce that to compliment the 1GB of online storage you currently receive for the PS3, we will be supplying another 1GB of online storage space for the PS Vita, along with the automatic update facility as standard. As part of the launch of this service the next PS Vita System Software Update (v2.00) will be available to ensure that your operating system is fully up to date with all the latest security patches as well as updated applications, features and settings. Now, moving on to the important aspect and what you are all here for – the games line up…At launch there will be four Vita titles available to you instantly. Please note that this is not going to impact the amount of PS3 games available at all – you will still receive the same amount of games as before. However, with the great Vita titles we’re adding to your Instant Game Collection, at any one time you will always have access to a minimum of 14 games a month across both platforms. Not bad, eh?As with the PS3 service, we will have titles that will be available to you for a longer period of time than usual so you have the chance to play them when and where you feel like, without worrying about them leaving the service anytime soon. For the PS Vita, these two titles will be Uncharted: Golden Abyss and Gravity Rush. The second title that will be available to you for a prolonged period of time is brought to you by our friends in Japan Studio in the form of Gravity Rush. As promised we also have two further titles launching on the service on 21st November, the first of which is Chronovolt. Chronovolt is a brand new 3D puzzle platformer game for the PlayStation Vita family in which the player must guide their Chronosphere through the twists, turns, traps and hazards of Escher-like arenas. Chronovolts scattered around the levels give the player the power to control time in various fashions: stopping it for selected objects, rewinding it and creating time warps. Finally the remaining title that we will have available in your instant game collection comes from our friends at Drinkbox Studios in the form of Tales from Space: Mutant Blobs Attack. This side-scrolling platform game is extremely enjoyable to play and its humorous cut scenes make it a light-hearted journey from start to finish. Please take the time to check it out. Oh just one more thing… as an added bonus, because we think it’s worth celebrating the launch of the service we have secured 20% off a range of PS Vita titles for the first week of the service. Remember, these are only around for one week and will go live as soon as the store update has rolled out so grab them while you can! 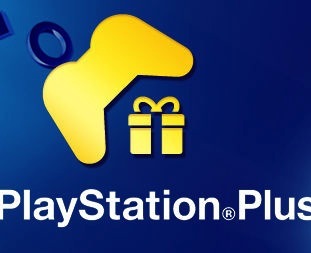 Let us know what you think of Playstation Plus in the comments below!